Union Day is a public holiday in Tanzania that commemorates the unification of Tanganyika and the People's Republic of Zanzibar and Pemba into the United Republic of Tanzania in 1964. It is celebrated on April 26. Active colonization of the mainland of present Tanzania began in the late 19th century, when Germany formed German East Africa. After Germany's defeat in the First World War, it was governed by the United Kingdom. The mainland was governed as Tanganyika, while the Zanzibar Archipelago was a separate protectorate, the Sultanate of Zanzibar. The independence of Tanganyika was proclaimed in 1961. The Sultanate of Zanzibar was granted independence in 1963. In 1964, the Sultan was overthrown during the Zanzibar Revolution. The Sultanate was replaced by the communist People's Republic of Zanzibar and Pemba. Several months later, on April 26, Zanzibar merged with the mainland Tanganyika. The new republic was originally called the United Republic of Tanganyika and Zanzibar. 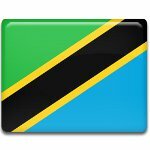 Six month later, it was renamed to the United Republic of Tanzania. The anniversary of the unification was declared a public holiday, Union Day. It is celebrated with speeches by government officials an a parade held in the city of Dar es Salaam.